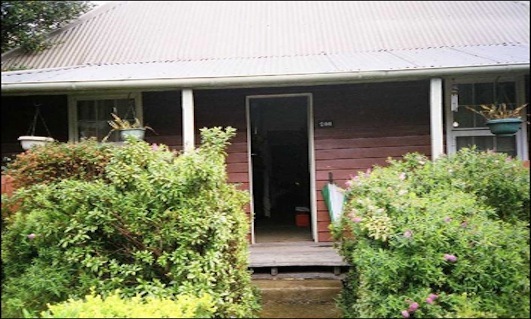 The Bulli Miner’s Cottage is a 1857 slab cottage, built as a rental property for mining families in a ‘new’ subdivision in the ‘original’ old Bulli, the first town in Wollongong, with clear views to the escarpment from the grounds and access to the escarpment walking trails and Grevillia Park. Lived in by three generations of female descendants until 1988, the Cottage contains introduced displays relating to mining in the Illawarra and a memorial wall dedicated to all the people who have died in mining related accidents in Wollongong. The Council has funded an updated conservation plan and will develop and establish a new public program with assistance from the Powerhouse Museum and the Historic Houses Trust. Plans are to restore the cottage to a house museum. An inventory of the cottage fabric and contents, including the grounds is underway with a team of volunteers. The project includes oral history recording and filming of former committee members and collecting information from local residents who remember the last occupants, and have experienced what life was like in old Bulli.